Headphones thrive while consumer electronics sales slump | What Hi-Fi? Headphone sales have hit an all-time high, rivalling the size of the entire hi-fi and home cinema separates market, which has hit a 20-year low as consumer confidence plummets. Sales of music streamers and servers are also on the up – as are budget Blu-ray players – but despite these bright spots, most other sectors in the portable and home entertainment market, including TVs, have slumped. The figures, from industry stat specialist, Gfk Retail and Technology, reveal that the UK consumer electronics market fell by 14.2 percent in 2011 – that's almost £1bn less spent on products than in the previous year. Over the same period, the consumer confidence index, fell to a depressing -33. UK consumers bought more than 10 million pairs of headphones in 2011 – almost two million more sets than we did in 2010. 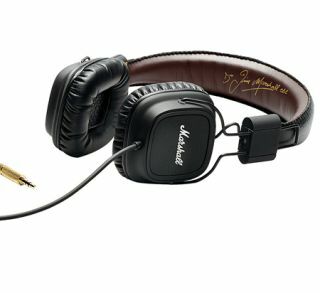 The price we're paying is also increasing, with the UK headphone market now worth £163,217,000. By comparison, the entire market for hi-fi and home cinema separates has fallen to a 20-year low of £167m. "It's been a bloodbath," said Nick Simon, account director for consumer electronics at Gfk. The sales figures were revealed by Gfk at the BADA (British Audio-Visual Dealers Association) AGM. You can read more in our dedicated blog online here.